RAILROAD.NET • View topic - What is an RDC or "Doodlebug?" Re: What is an RDC or "Doodlebug?" Is this the kind of thing you mean? What we call a "track worker trolley" OR "rail maintenance car"
Or do you mean a more traditional DMU /DRC such as this. thaitransit wrote: Is this the kind of thing you mean? We'd call this a motorcar, track car or speeder. thaitransit wrote: Or do you mean a more traditional DMU /DRC such as this. DMUs and EMUs (like the Budd RDC and Metroliner respectively) are what the forum was created to represent, but they've since adopted speeders and other self-propelled work equipment as well. There is a great book about the RDC titled 'Budd Car the RDC Story'. It is a soft cover book detailing the history of RDC cars, their predessesors,and competitors (GE actually considered building a REC, using traction motors rather than a hydro mechanical drive). The book is written by Chuck Crouse and coyprighted 1990. Library of Congress #89-051972. Any one who enjoys RDCs should have this book in their collection. 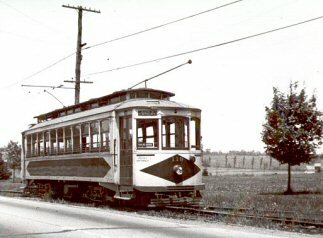 Fairmont, Motor Car, Model M-19. I've always been slightly amused when (mostly railfans) use the term "track speeder". No harm meant, but if you came onto NS during the days of "motor cars" and called one a "track speeder", you'd get a funny look or a "Whu----------?" Its just the difference in locale and slightly different terminology amongst the railroads. We never heard that term. 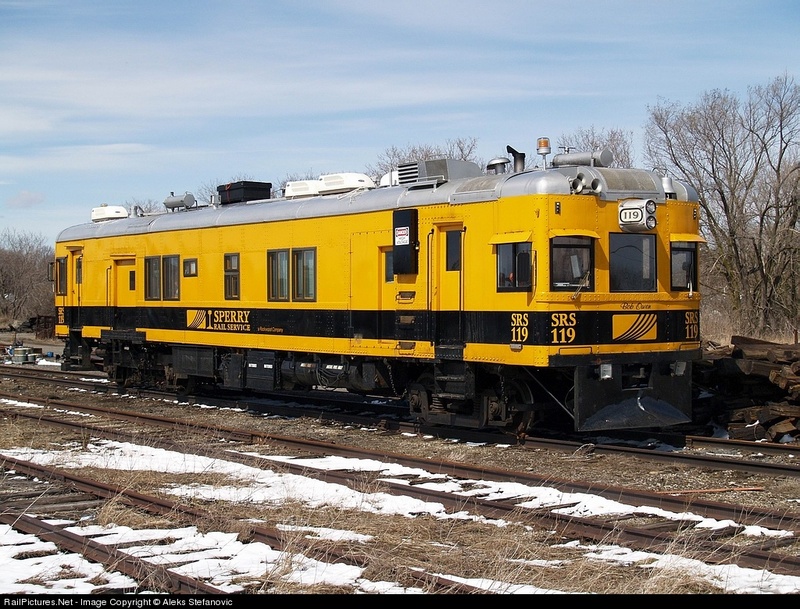 In the last days of the "motor car" on NS, I must have loaded a couple hundred of them onto trailers, flatbeds----even loaded several into a horse trailer. Some of them went to other railroads, a bunch to private individuals. I asked one fellow what would he DO with an old motor car, he told me he wanted to put it out on the track and run up and down. He left me the inpression that he just might put his on the main line and get KILLED! I had the shop superintendent make SURE he understood that you could NOT put them out on a mainline RR and "play" with them! My definition of doodlebug says the vehicle has to be small, probably single truck, with a motor, and most importantly MUST have have a cartoon insect painted on it. The word doodlebug in quotes around the cartoon is optional. On NS, they were always called "motor cars". If you heard the term "speeder", the railroad people on that road would look at you with a blank stare. It just wasn't part of their vocabulary. but generally a "doodlebug" is an early gas powered machine..
RDC is "Rail Diesel Car"..a more modern creation..
ex Budd man wrote: There is a great book about the RDC titled 'Budd Car the RDC Story'. It is a soft cover book detailing the history of RDC cars, their predessesors,and competitors (GE actually considered building a REC, using traction motors rather than a hydro mechanical drive). The book is written by Chuck Crouse and coyprighted 1990. Library of Congress #89-051972. Any one who enjoys RDCs should have this book in their collection. I see this mentions RDC predessors - is there a good chunk of info about Doodlebugs, or just a few quick pages? Actually, Is there any comprehensive site, or book, on 'Doodlebugs' or the equivalent prior to the RDC - I know there's a lot on the RDC (and it's 'successor' the SPV), but North American Doodlebug information (from say 1900 to 1960s, if any traditional Doodlebugs were still running in active service by then) seems rather scattered and sparse - any recommendations? (There's books on everything in railroad history, there's gotta be something, but I haven't found it yet). Sir Ray wrote: I see this mentions RDC predessors - is there a good chunk of info about Doodlebugs, or just a few quick pages? There aren't many comprehensive sites on doodlebugs, as far as I know. One of the most is the NE Rails Doodlebug site, and especially its attendant photo page. Make sure to click the links in the toolbar under "Other Motorcars" to see representatives from GE, EMC, St. Louis Car, Pullman-Standard, and others. Some of them are gas-mechanical (the McKeens in particular), but all of the EMC and GE products are electric-drive. I would like to get some information about the single ended Doodlebugs. 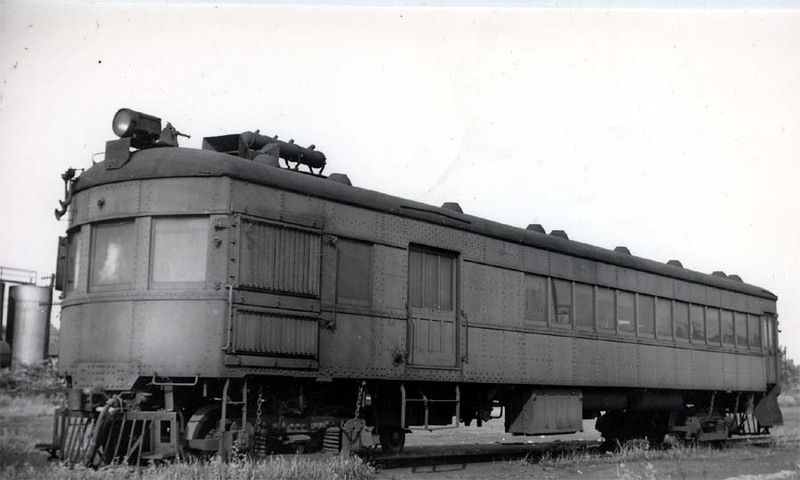 Could they run on full speed in both direction or they were just a single direction railcars, with a limited reverse speed (on triangles or similar tracks). Regards from Austria. Keep the trains running! It depends upon the application, and what the railroad ordered. 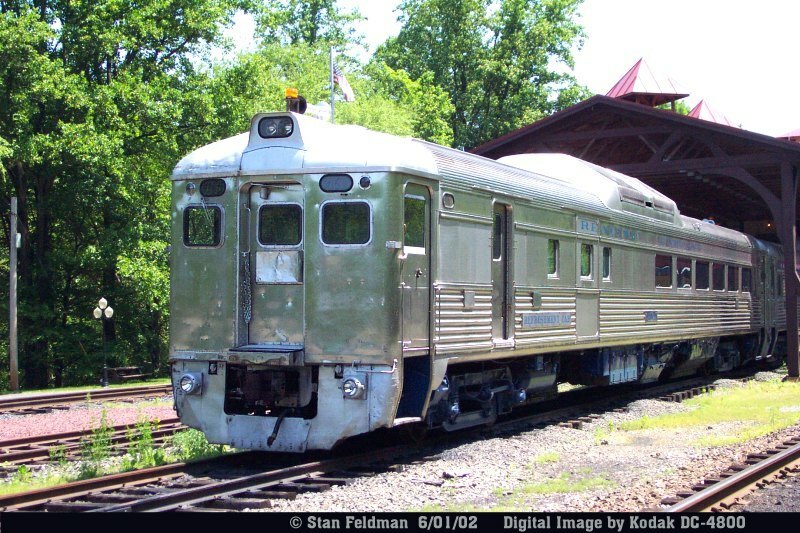 The Pemberton & Hightstown RR (in New Jersey) once had a Mack railbus, sort of a small rail passenger car but large bus. It was designed to run in one direction, like its road cousins. Urban D Kaye wrote: Correct me here, but the term "doodlebug" dates to the old gas-electric cars of the 20s, wheras I've only seen the term "RDC" applied specifically to Budd self-propelled diesel cars. 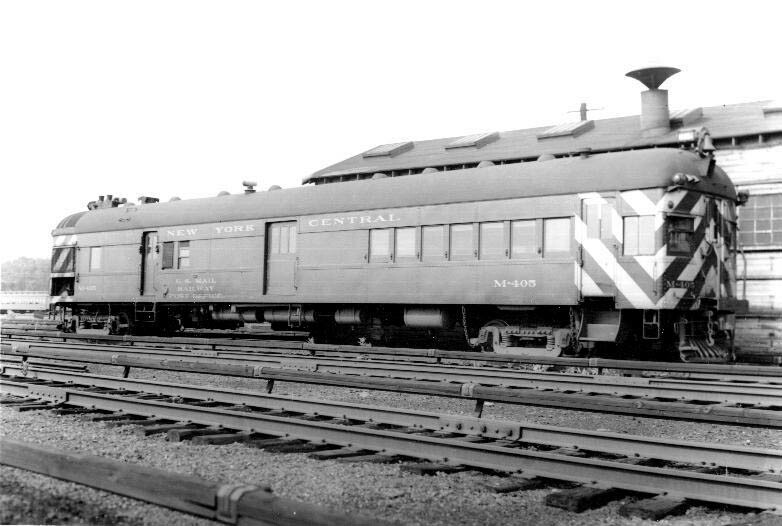 I think it would be accurate to say that the "Doodlebugs" were ancestors of the Budd RDC's. The Doodlebugs were gasoline-electric powered cars, built during the time when the gasoline engine was being experimented with for railroad applications. In the Late 1920's and particularly into the 1930's, the diesel engine replaced the gasoline engine in these experiments, so that by the time the RDC's were introduced, the internal combustion engine of choice was the diesel. I was browsing and just found this post. There is a book -- quite likely not in print anymore -- called Interurbans Without Wires. I don't have it and can't remember the author's name, but if you can locate it somewhere I recall that it had a lot of information about pre-RDC doodlebugs on various railroads. ExCon90 wrote: I was browsing and just found this post. There is a book -- quite likely not in print anymore -- called Interurbans Without Wires. I don't have it and can't remember the author's name, but if you can locate it somewhere I recall that it had a lot of information about pre-RDC doodlebugs on various railroads. Thanks for the bump of my old post. I did search for that title and quickly came up with info: "Interurbans without wires: The rail motorcar in the United States" by Edmund Keilty (1979). Looking further, the author also wrote several other volumes such as "The Short Line Doodlebug" and "Doodlebug Country".